The preparation and evaluation of data sets from numerical fluid flow simulations represent an important part of the simulation process. Conventional visualization methods – such as two-dimensional projection on screens – limit the exploration of three-dimensional simulation data, especially in complex geometries and turbulent flow problems. A new approach for an intuitive interaction with simulation data is offered by the Virtual Reality (VR) concept, which is applied here to flow simulation data of process engineering devices. VR can be experienced through various possibilities, one of it is the use of VR glasses. In contrast to Augmented Reality, the existing reality is not expanded, but suppressed. This allows an enhanced immersion and thus an interactive experience of the simulation results. The use of VR has already been established in the computer game industry and is gaining popularity in various application areas. The Lattice Boltzmann Research Group (LBRG) within the Institute of Mechanical Process Engineering and Mechanics (MVM) aims at taking advantage of VR and AR technology for the field of applications in process engineering using both, simulation and measurement data. Three different applications were prepared at the MVM for a presentation at the booth (2018, June 11th to 15th, Hall 9.2 A80) of the Karlsruhe Institute of Technology (KIT) at the Achema 2018 in Frankfurt, Germany: turbulent flow through a Coriolis Flow Meter, thermal LES simulation of the air flow in a refrigerated truck (cf. Figure 1) and coupled particle laden flow in a decanter centrifuge. The development of the AR application on the HoloLens was accomplished in cooperation with iXpoint Informationssysteme GmbH in Ettlingen, Germany, that works in the area of AR/VR and mobile solutions. 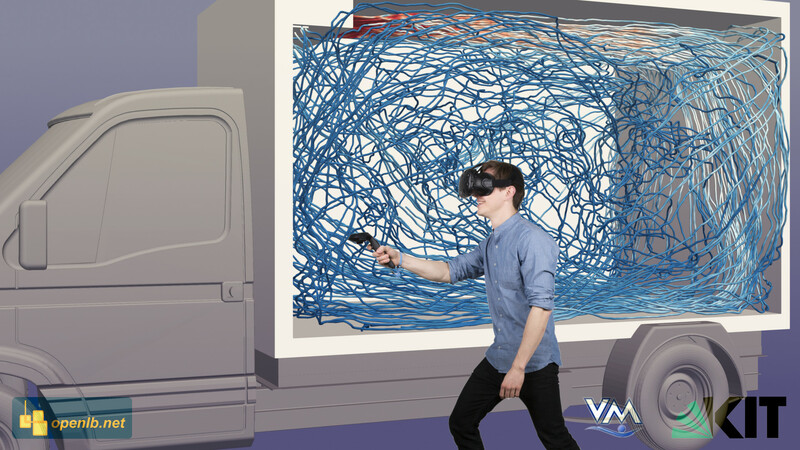 Figure 1 Thermal LES simulation of the air flow in a refrigerated truck visualized in a Virtual Reality presentation. An observer can explore the data in a virtual reality with his VR glasses and controller. The simulation results were obtained using the open source software tool OpenLB (www.openlb.net).